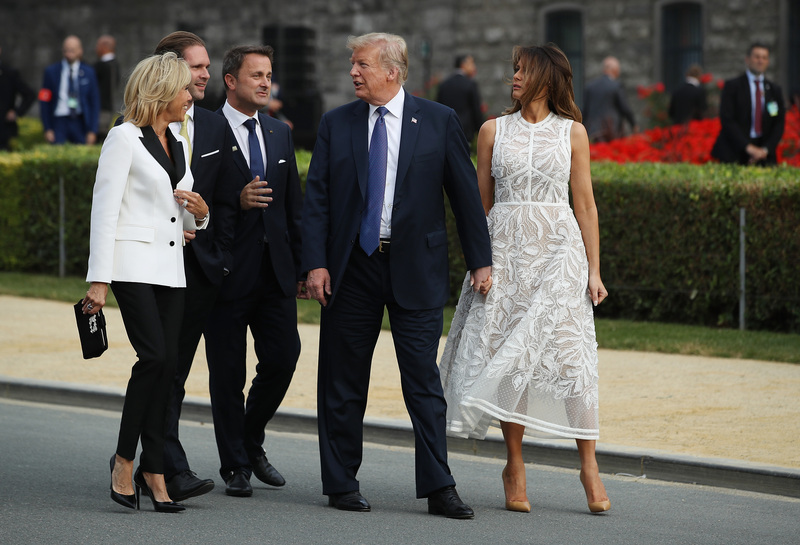 First lady Melania Trump issued a conciliatory statement celebrating her visit to Belgium for the annual NATO summit in contrast to her husband’s combative experience. The first lady was publicly by her husbands side at all of his public events and also appeared in the NATO “family photo” with other leaders and their spouses. President Donald Trump, by contrast, spent much of the summit hounding members of the alliance to increase their GDP spending on defense to at least 2 percent and eventually 4 percent. Only 5 out of 29 countries within the alliance currently spend more than 2 percent of their GDP on national defense despite committing to do so in 2006. NATO countries placated Trump with a declaration from the alliance that they would increase spending immediately.